It’s totally easy with FIXY Makeup Repair & Creation Kit. Here’s how (it takes under 3 minutes!). What will you do with your FIXY Kit ? Umm, yes you heard me correctly. You can create new colors out of your existing makeup. Cleaning out your makeup feels so, so satisfying. 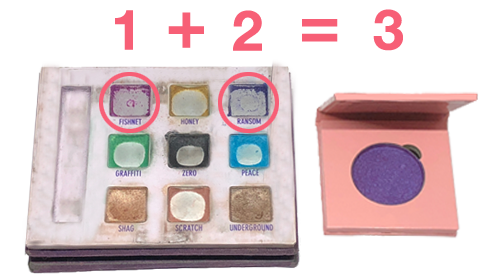 While your at it use FIXY to downsize your bulky compacts and place all of your favorite makeup into one FIXY magnetic palette. Everything you need is in our magic box. No waiting overnight for your makeup to dry. Nothing added to your makeup. Just beautiful pressed powders. 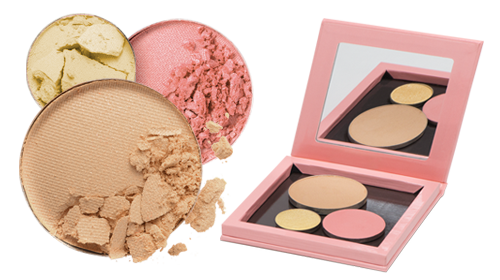 Do you have half empty paletts or compacts? Do you hate it when you "hit pan"? FIXY it into a new magnetic tin and you are good to go! Your old makeup will look brand new.